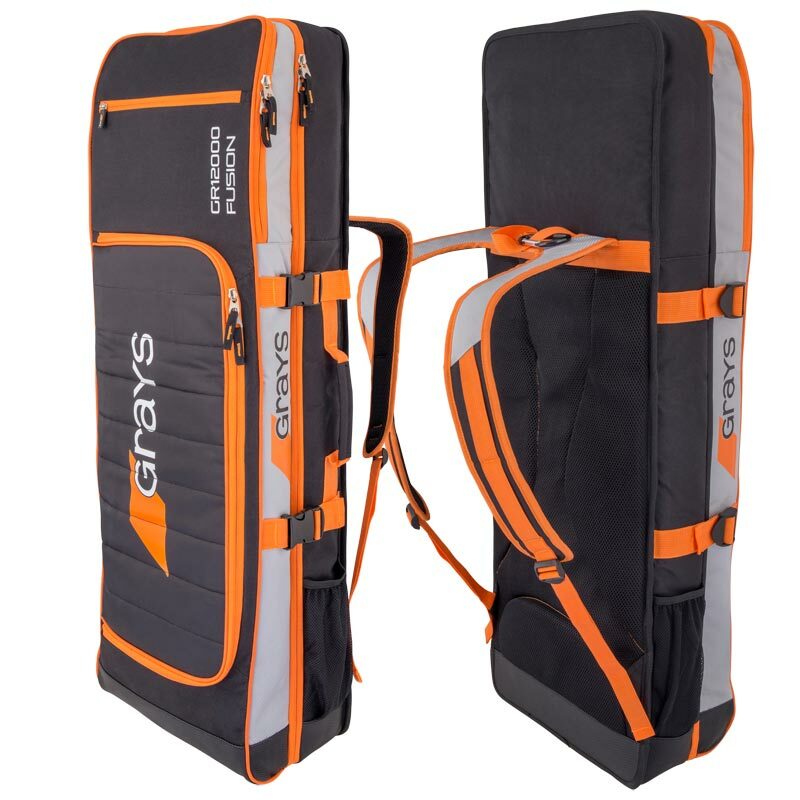 The Grays ® GR12000 Fusion Hockey Kit Bag is the ultimate hockey bag - multi pocket design to maximise the storage capacity this innovative designed bag is the perfect choice for tours or match play. Fold open design with internal stacking and storage systems for all items of kit. Two internal stick holders with extra room for up to 6 sticks to be carried. Vented lower section pocket for shoes and shin guards. Small item inner mesh pockets with zips. Padded back protects both sticks and provides comfort when carried. Dual padded strap design for extreme comfort. Supplied with a securing clip so bag can be hung on fence during wet conditions. Dimensions: Length 100 x Height 32 x Width 18cm.